→Can I Paddle A Kayak Or Canoe While Pregnant? 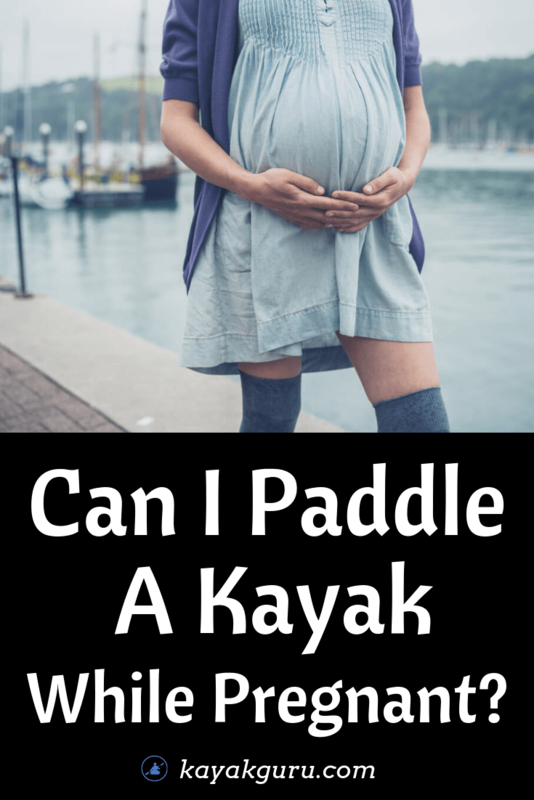 Can I Paddle A Kayak Or Canoe While Pregnant? You’re getting ready to welcome a new baby into your family but you still want to stay active and enjoy your favorite sports and hobbies. While you may find you need to make some changes to your life when you’re pregnant, it shouldn’t be a barrier to having fun. So is it still ok to go kayaking while pregnant? We’ll look at how safe it is and what precautions you might need to take before you head out on the water. So hopefully you’ll be able to continue canoeing or kayaking right up until your bundle of joy arrives. Is It Safe To Go Kayaking While Pregnant? As with any type of exercise that you do while you’re pregnant, it can be a good idea to check with your doctor beforehand. Your doctor should be able to advise you on what’s best for you and your unborn baby. As you will already know, there will be some pregnancies that are a higher risk than others, so it can often be a case of personal experience rather than a one size fits all rule. You will likely know yourself what your limits are. The most important factor for kayaking while pregnant will be your safety while on the water. During the first few weeks of pregnancy it may be easier to find a personal flotation device (PFD) that fits compared to the last few weeks, which could impact how far into your pregnancy you can continue to paddle. Whitewater paddling could become a challenge due to the extra pressure on your body, which could mean you’re not as easily able to roll and you may not have the same center of gravity or balance that you might have had before. You also may need a larger boat and larger gear for a more comfortable fit. Although some experienced whitewater paddlers may still have the ability to paddle whitewater. Having a second person come along with you can be a good idea no matter where you’re paddling. They can also help carry the yak, as you may not be able to lift or carry your vessel while pregnant. Paddling on calm water, whether you’re in a kayak, canoe or even a SUP, can be a fun way of keeping active while you’re pregnant, as long as your pregnancy is low risk and you’re in good health. A stable sit-on-top kayak or canoe could give you more room and could be easier to get in and out of than a sit-inside yak, which could make your paddling trip a little more comfortable. Calm water, such as a slow moving river or bay, could give you the relaxing paddling experience you might be after. It can also be helpful if you have a second paddler with you who can ​​​​do most of the work. Kayaking and canoeing can be a great way of relieving stress, even when you’re pregnant; as long as you are in good health and have spoken with your doctor about the potential risks beforehand. Remember to put your safety first and only do what you feel comfortable doing - every pregnancy is different. You may be able to paddle right up till your third trimester or you might find it may be better not to paddle at all. If you have any questions or comments, please let us know. And remember to share this with other paddling moms-to-be.